Along with a warm ocean and wonderful beaches, Corfu offers visitors a tremendous selection of outdoor activities and cultural attractions. 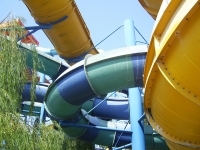 Regarding activities, visitors can enjoy horse riding, hiking, water sports, and golf. On the culture front, leafy Corfu Town boasts some incredible churches, fortresses and even a palace. History buffs will love the Archaeological Museum, which gives insight into Corfu's past, as well as the neoclassical Museum of Asian Art, which houses some breath-taking pieces from China and Japan. 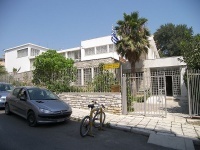 The Municipal Gallery of Corfu showcases famous works such as the 'Sphinx' by Sp. Skarvelis, and 'The assassination of Capodistria' by Haralambos Pachis. 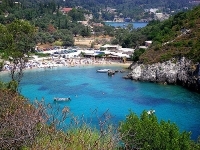 Corfu's smaller villages are worth visiting as well. 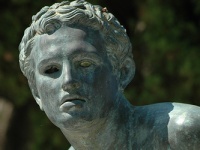 Just six miles (10km) south of Corfu Town, Achilleion villa has beautiful rolling gardens that provide the perfect location for famous statues by the German sculptor, Herter. The terraced cliff-top viewpoint known as Kanoni is the ideal spot to take photos. Travellers could also visit Nymphes. The green village has a number of wells and waterfalls, and many myths and legends. Empress Elizabeth of Austria built the Achilleion in 1890. Standing just south of Corfu, the palace was intended as a memorial to her son, Rudolf, following his death by apparent suicide one year earlier.